About Us | Primm Land Surveying, Inc. Welcome to Primm Land Surveying, Inc.
Primm Land Surveying, Inc. was formed in 1999 and is owned and operated by the two principles and brothers Brit and Keith Primm. Prior to establishing Primm Land Surveying, Inc. in 1999, both principles obtained experience in both field and office environments by working on Rectangular, Construction, Seismic, GPS, Hydrographic and High Definition survey projects. Our professional land surveying ability, combined with our hands on experience and knowledge of both land surveying and construction layout will ensure our current and future clients that their particular project will be provided in an accurate and timely professional manner by Licensed Professional Surveyors. The principals have obtained an extensive and formal education through the U.S. Army Defense Mapping Agency in Virginia and each hold a B.S. in Surveying and an A.E. in Engineering from Oregon Institute of Technology in Klamath Falls, Oregon. 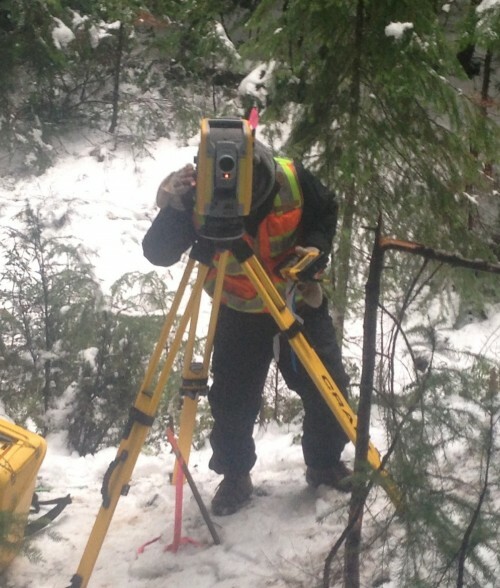 We have over 30 years of optical and GPS surveying experience throughout the Northwest and Alaska and are currently licensed as professional land surveyors in Oregon, Washington, Idaho, Utah and Alaska. For more information contact us or see our Statement of Qualifications. Copyright © 2019 Primm Land Surveying, Inc.